So for Day 18 I’ve done yet more faces. The scribble face is not everyone’s cup of tea, but it is to help loosen up and reduce the need for an eraser. I enjoyed drawing it and trying not to lift my pencil off the paper. I’m now ready to start drawing from pictures. The second face is another face from my imagination. 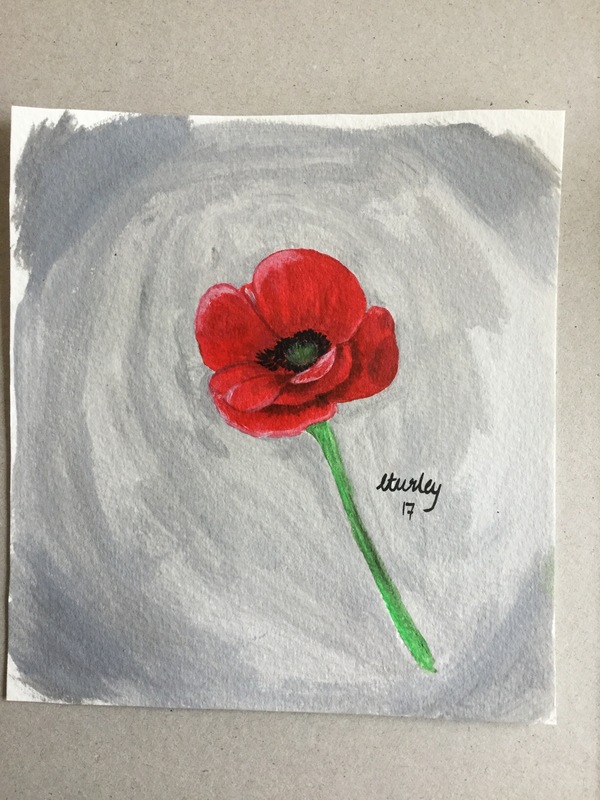 A poppy I painted a while ago. This and many other paintings and prints are in my Etsy Store. Go check them out! !